A house with a big mooring close to the entrance of the harbour. 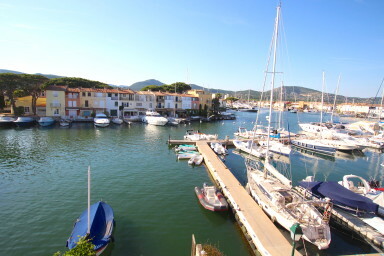 This house is located close to the entrance of the harbour and has a wonderful view on Port Grimaud. - on the 2nd floor: 1 bedroom with a balcony, 1 small bedroom and a bathroom. On the canal side, a terrace and a garden. A 18m x 4.25m mooring. A private parking space next to the house. The beach is only 2 minute-far by walk.